Chicken pot pie was one of those dishes I didn’t love as a kid (store-bought version) and then loved as an adult (homemade version) and had to say goodbye to when we switched to a grain-free, real food diet. Flour and vegetable shortening crust…not so much! I just recently attempted a healthy version of chicken pot pie and the kids loved it! It sneaks in some veggies that aren’t typically kid-favorites and some healthy fats. It’s also pretty filling and great for active kids. To me, chicken pot pie is a poultry version of one of my favorite recipes: Shepherd’s pie, which I’ve also adapted as a sweet potato shepherd’s pie and meatloaf cupcakes. 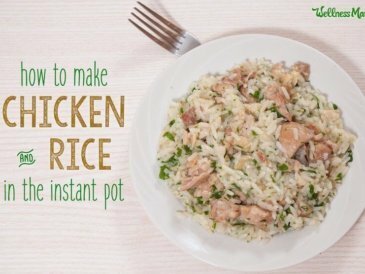 Those recipes are all more budget friendly, so if you aren’t a chicken person or are on a tight budget, try them instead! 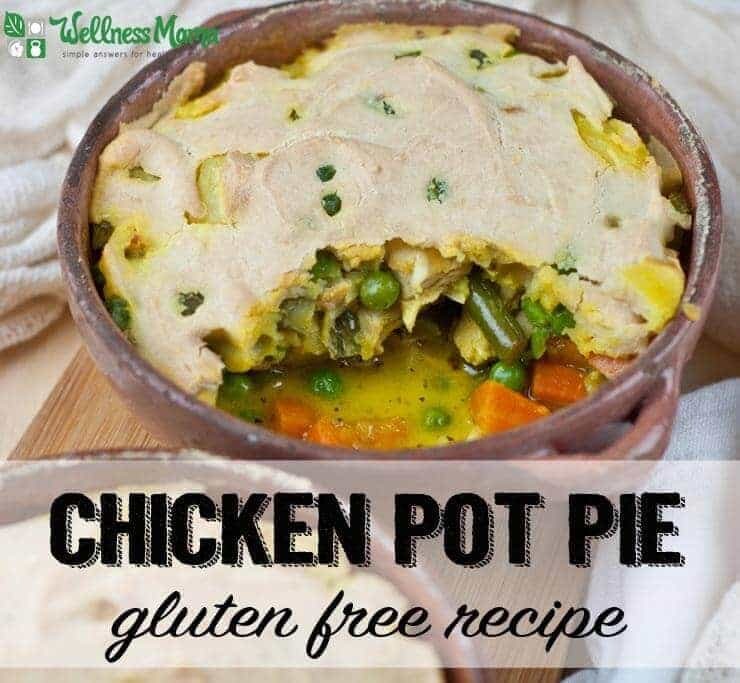 Delicious and hearty chicken pot pie made with a gluten-free and grain-free crust. This recipe sneaks in extra servings of veggies and is kid approved! 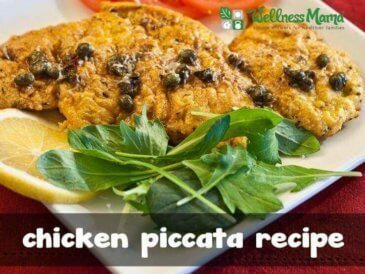 Cook chicken in oven or skillet if it is not already cooked and set it aside. Peel the turnip and parsnip and finely chop. Heat 2 tablespoons of butter or coconut oil in large skillet until melted, then add the turnip and parsnip. Finely chop the celery, carrots, green beans, and onion and add them to the pan. Saute over medium heat until all the vegetables have started to soften. Add the frozen peas and continue cooking until peas have defrosted. 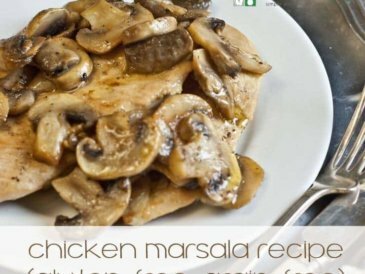 Chop the chicken into ½ inch cubes and add it to the pan. Add ½ cup of the coconut milk to the pan and continue cooking until it has started to evaporate. In a medium size bowl make the crust by mixing together the almond flour, eggs, Parmesan cheese, and remaining butter and coconut milk. You may have to add slightly more milk or more flour, depending on the dryness of your almond flour. It should be somewhat thick but spreadable. Transfer the chicken mixture to one large oven safe pan or two pie pans or 8x8 dishes. 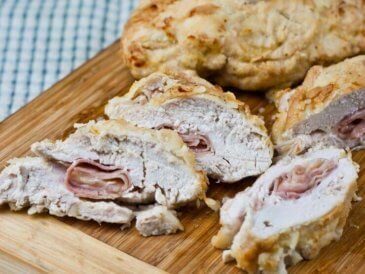 Carefully spread the crust mixture over the chicken filling. Bake in the oven 15-20 minutes or until the crust has started to harden. You can use this coconut flour biscuit recipe for the topping if you prefer. This recipe makes one large pot pie or two smaller ones. 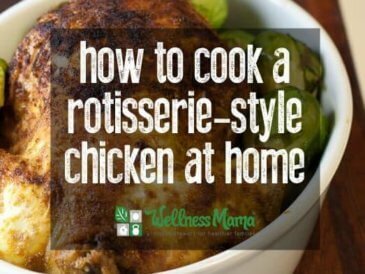 You can freeze one, uncooked, for a later meal. 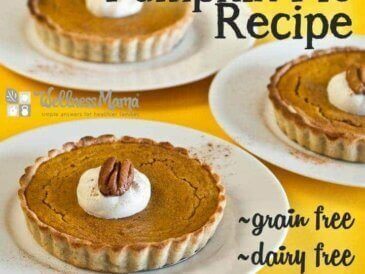 To use, simply defrost overnight in the refrigerator before baking the next evening. Do you like chicken pot pie? Let me know below!